Don’t hit with your arms, hit with your legs. Don’t hit with your legs, hit with your waist. In any case the issue lies with the feet. Right leg, left leg. 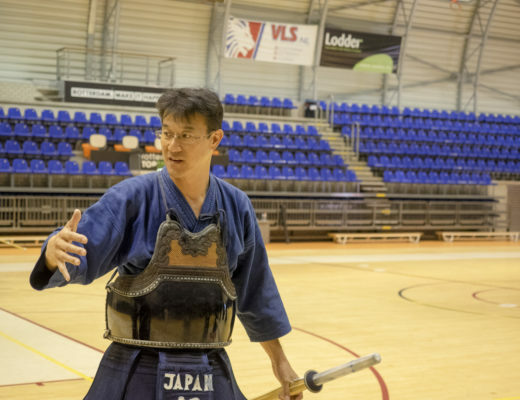 A top level kendoka explains how to realise an ippon by looking at the relation between footwork and valid strikes. 2. How to add depth to your seme? Higashi Yoshimi, born in Kagoshima prefecture in 1957, 62 years old. Proceeded from Shōnan High School to Hosei University and after graduation, he is appointed to the Aichi prefectural police. Achievements include All Japan 8th dan Invitational Championship victory, All Japan Championship participation, All Japan East-West Tournament participation etc. 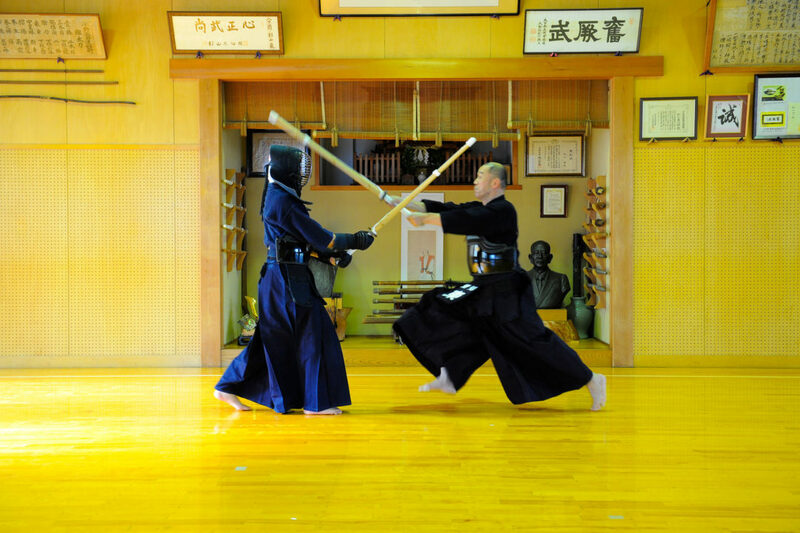 After retiring the tokuren, he became an instructor and Aichi Prefectural Police Kendo Chairperson. Retired in March, 2018. 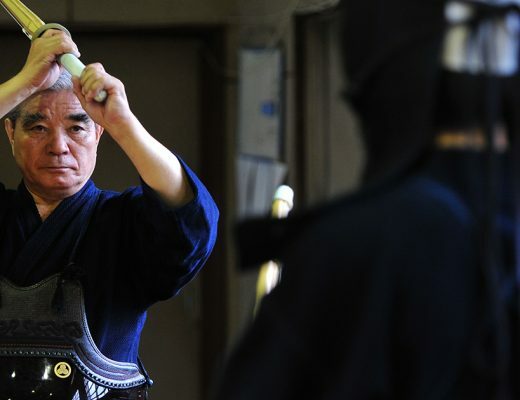 Currently, Aichi Prefecture Police Honor Teacher, Netz Toyota Nagoya Kendo Club Teacher, Seijo University Kendo Club Teacher. In May this year, he was awarded hanshi. In an actual match it is unlikely to strike with a big swing. 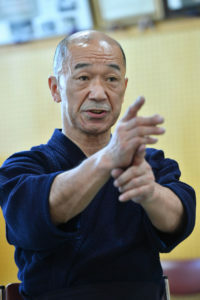 Apart from katsugi techniques and surprise attacks it is basically required to hit small, fast and firm.